Vincent Pocsik is an American artist and designer who lives and works in Los Angeles, CA. He attended graduate school for architecture at Southern California Institute of Architecture in Los Angeles. 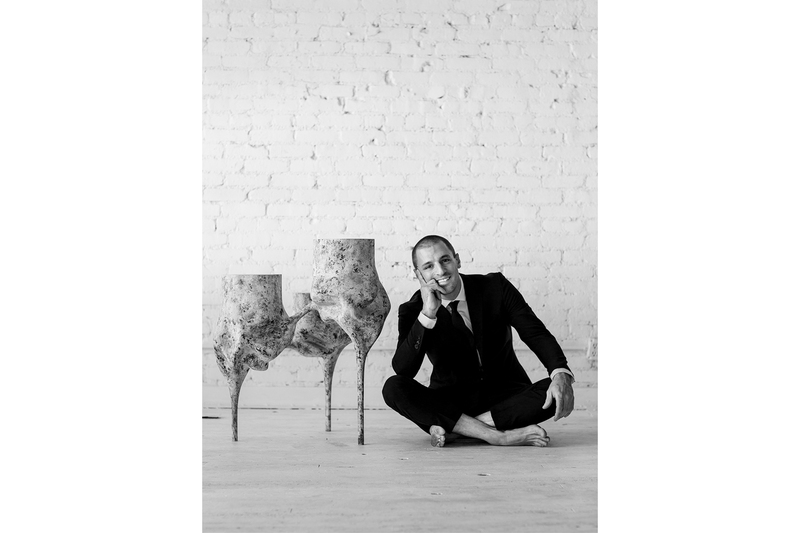 Shortly after graduating, he opened a studio in downtown Los Angeles, which developed into the studio he runs today. Vincent’s work balances old and new fabrication techniques to breathe new life into materials while holding onto the richness of the past. This process is influenced by the desire to push the traditional boundaries of mediums such as wood, glass and metal so each work transforms into an anatomical expression and presence of it’s own. All furniture pieces are made inside his shop in Los Angeles. All glass, metal and upholstery work is done with local Los Angeles craftsmen. Currently showing at the A+D Museum in los angeles, ca.